My ebook is now available for Kindle at www.Amazon.com and Nook at www.barnesandnoble.com. 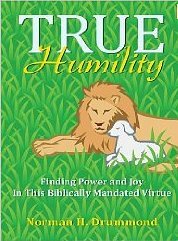 TRUE HUMILITY is available as an ebook only. I have been writing on the subject of humility for seven years and I am excited that WestBow Press has agreed to publish it and distribute it to all of the formats available for Nook, Ipad, and Kindle. Other websites where the book can be found are: www.westbowpress.com, www.books.google.com, www.booksonboard.com, and www.kobobooks.com. The purpose of this book is to present this biblically mandated virtue as a strength that adds power and joy to the Christian life. It is too often unappreciated and undervalued in our Christian walk. I believe most Christians misunderstand the true meaning of humility and picture it as a distasteful weakness that is incompatible with a our drive to achieve and excel. TRUE HUMILITY will immerse the reader into a abundance of thought and verse to ignite a whole new desire to be humble. Look for it soon at your favorite online bookstore. This book will lead readers to value and enjoy this virtue as one that will do far more to develop inner joy and strength than they ever expected. 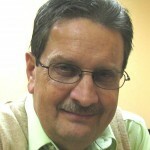 Christians are aware of God’s insistence on humility but often view it as unappealing. Readers will find that it is not for the weak and feeble. The humble person chooses a path of lowliness, not listlessness, of meekness, not meaninglessness. The humble person is unpretentious, not unambitious; reverent, not irrelevant. Christians seeking to build moral character that pleases God and to awaken a fresh confidence in their service to Christ and His Church, may gravitate toward the subject and promise of this book. What does the Bible say about WOMEN IN THE ROLE OF PASTOR? Many Christians have an opinion but are those opinions based upon current cultural contentions or upon solid biblical instruction? 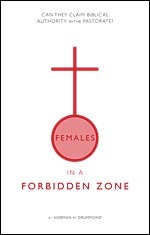 My book, Females In A Forbidden Zone provides a wealth of biblical support to dispute all of the major arguments given in favor of permitting women to occupy the chief seat of the church. This book, released in January 2008, insists that the validity of a woman’s claim to a call to the preaching and pastoral ministry cannot be based upon her capability, apparent giftedness, ministry results, or personal zeal. What must be examined is whether the Bible supports the woman’s claim to a call. Does she have biblical authority to be the spiritual head of God’s house? Does she have biblical authority to exert spiritual authority over men? To place an order, contact: Tate Publishing www.tatepublishing.com/bookstore or ask your local Lifeway store to order one for you.